2013 marked 101 years since Arizona became the 48th state. 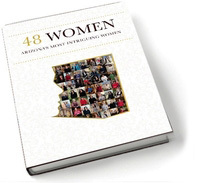 To celebrate, we selected 48 of the most intriguing women who represent the richness of Arizona’s history. We have stories to share about 48 exceptional women whose vision, leadership and philanthropy are transforming communities for the better throughout Arizona and beyond. 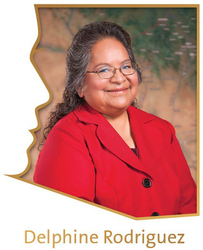 These 48 diverse Arizona residents have been honored in Arizona’s Centennial year for their impact on their community, organization or profession. or click to peek inside! 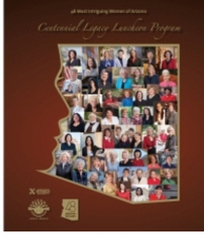 Learn about the greatness of these women and their individual and collective accomplishments through the Legacy Project Book, Arizona's 48 Most Intriguing Women. You’ll be inspired by the courage, passion and tireless energy they’ve demonstrated in helping to create and shape the richness of Arizona.